We are located in the suburb of Shirley, Christchurch. All of our dentists were trained at the Otago School of Dentistry. We also employ a Dental Hygenist. We promise to listen carefully to your needs to achieve your dental goals. We guarantee the best quality staff and use the most up to date equipment and materials. Over 70% of our new patients choose us through a recommendation of family or friends! Dr Tracy Haggerty gained her dental degree from the University of Otago in 1994. Tracy began her dental career as an Oral and Maxillofacial Surgeon at Christchurch Hospital where she gained invaluable experience for 3 years. In 1997 Tracy opened her own private practice Palms Dental Centre in Shirley, Christchurch and in 2003 she opened a second private practice Rolleston Dental Centre in Rolleston. Tracy has many patients who have been with her since the beginning and finds many of them refer their own friends and family members who have all become regular patients. Having a long standing rapport with the local communities has helped Tracy create two very successful practices. Tracy practices all aspects of Dentistry, specialising in several areas including Intravenous Sedation, Complex Surgical Procedures and Fastbraces. Tracy is a Senior Master Provider of Fastbraces, a system developed by Dr Anthony Viazis in 1992 to straighten and fix crooked teeth. This is incredibly popular with Adults and Teenagers alike. Average treatment times range from 4 to 8 months and patients are delighted with the results. Out of work hours Tracy leads a very busy family life. She enjoys travel, family time and caring for her many pets. Daniel graduated in 2000, obtaining his degree from the University of Otago Faculty of Dentistry. He is a full member of the New Zealand Dental Association. After working for a few years south and east of London in West Sussex and Essex, Daniel returned home to Christchurch to be closer to his family. Daniel joined the team at Palms Dental Centre and Rolleston Dental Centre in 2004 where he shares his time. Available on Monday, Thursday and Friday at Palms Dental Centre and Tuesday, Wednesday at Rolleston Dental Centre. Daniel enjoys the challenge of providing quality conservative dentistry in a friendly and comfortable environment. He strives to be proficient in all aspects of general dentistry. He is very interested in saving damaged dentition with all restorative options available, but is equally interested in providing the necessary surgical treatments his patients might require when teeth cannot be saved. Daniel also has many years experience at providing Oral and Intravenous Sedation for his patients. When not working, you might find Daniel carving up the slopes at Mt Hutt on his snowboard. His other interests include mountain biking, gardening, acting master-chef in his home kitchen and dining his way across Canterbury's fine food establishments. Daniel looks forward to meeting you and providing you with the best of dental care in a modern and friendly environment. Graduated from the University of Otago, and was “snapped up” by the Rolleston Dental Centre, where he has grown to be a very well liked Dentist with a very kind and gentle nature. He works both in Palms Dental and Rolleston Dental Centres. Known for taking his time and producing impressive crown, bridge and implant work. Nicholas also speaks multiple languages. Am is from Thailand. She migrated to New Zealand in 2000 and studied at Burnside High School before graduating from the University of Otago with her degree in Dentistry. 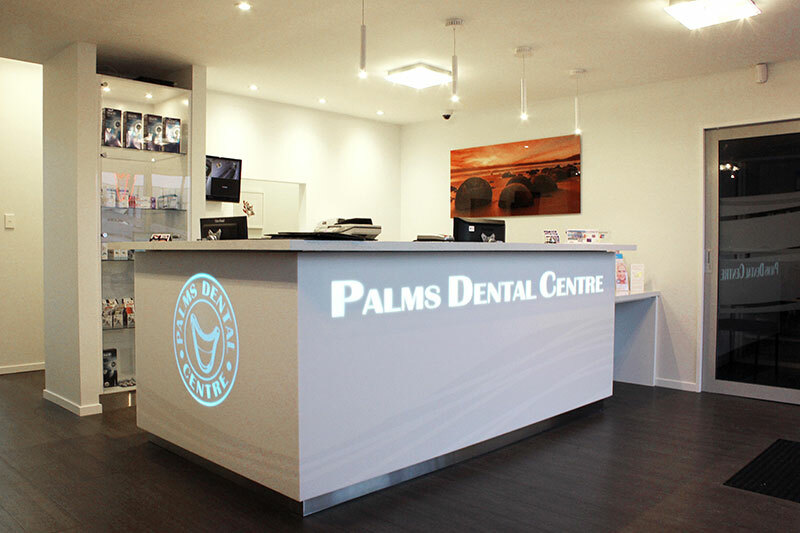 Am joined Palms Dental Centre and has practiced with us since her graduation. Am is extremely capable, conscientious and has many strengths including fabulous extraction techniques and reliable dental work. Am has a large following of regular patients who enjoy her very gentle kind and caring nature. Outside of work hours Am enjoys cooking and spending time with her family. Am speaks English and Thai. LiYing graduated from the University of Otago in 2014 and joined both Palms Dental Centre and Rolleston Dental Centre after her gradation. LiYing enjoys all aspects of dentistry with special interest in Wisdom Teeth and Oral Surgery. LiYing also practices Intravenous Sedation. She loves new challenges and interesting cases. LiYing is bubbly and outgoing, with great expertise at discussing treatment plans and putting patients at ease. She enjoys working with children as well. LiYing is fluent in both English and Chinese (Mandarin) and well received within the local Chinese community. Out of work hours LiYing loves FOOD and in her spare time likes to try new restaurants and enjoys extensive travel. She enjoys sport such as badminton and swimming. A good book is enjoyed when relaxing. Since graduating from the University of Otago with a Diploma in Dental Hygiene, Lyn has spent over ten years in practice. Lyn loves her job, is passionate about oral health and always does her best to offer her patients all the guidance and support they require in a caring, relaxed environment. She specialises in cleaning and scaling teeth and treating gum problems. Lyn also likes to assist her patients to do better with their own oral hygiene at home ensuring good regular habits. When she is out of the practice she enjoys the outdoors and such activities as mountain biking, running, walking as well as keeping fit at the gym.